When you are on the market for a new home, there are many different things you must consider, especially if you have kids. What is the school district like? Is your potential new home in close proximity of all the amenities like shopping centers and entertainment options that make life easier for you and your family? What about the neighborhood itself? Is it quiet and family oriented? Or is it full of younger inhabitants who might be prone to having more parties? Well, if you are in the market for a new home and want to live in a city that offers so much for almost anyone, you may want to consider purchasing your new home in Littlestown, PA. Within 10 to 20 miles of the bigger towns of Hanover, Gettysburg and Westminster, Littlestown was first established in 1760 under the name Petersburg. By 1795, Petersburg was changed to Littlestown, which is the name this beautiful town is still known as today. While what is now known as Petersburg, PA, began as a small town with a tiny population, it has grown to a population of 4,434, according to the 2010 census. While the town itself still maintains its small town charm, it has many amenities that gives it a small town feel with a modern day twist. As any homeowner with a thirst for knowledge realizes, it is important to live in a town that offers a great library. In Littlestown, PA, our library system is amazing. All community members have access to the Adams County Public Library which is located in Gettysburg, the Adams County Historical Society Library, also located in Gettysburg, the Adams County Law Library, which is located in the court house, and the Statewide Power Library. Each of these libraries offers ample opportunities for the residents of Littlestown, Pa to experience literary endeavors at their finest. When choosing to purchase a home in Littlestown, PA, there are ample opportunities for fun and excitement. Whether you enjoy the nightlife, or desire more low key opportunities for entertainment, Littlestown, PA has a lot to offer. If outdoor activities are your thing, try visiting Mulligen Mac Duffer Adventure Golf. If horseback riding is more your thing, try visiting National Riding Stables. Both of these fine establishments offer plenty of chances for you and your family to enjoy some outdoor fun. Perhaps you prefer museums that offer a culture look at Littlestown, PA. If so, try stopping in to the Gettysburg Battlefield Museum, or the Soldiers National Museum. Both of these museums offer you a glance at the rich history surrounding Littlestown, PA, and they afford you the chance to learn more about this great are of the country you have chosen to purchase a home in. If you want to buy a home in a place that has plenty of opportunities for dining or shopping, look no further than Littlestown, PA. From our five star cuisine restaurants to our unique family restaurants, there are a variety of fine dining experiences to be had in Littlestown, PA. We also have a variety of big name and unique shops that will make it easy for you to find whatever it is you are looking for to decorate your new home or closet with. For great dining and shopping options, Littlestown, Pa is the place to choose to live. As you can see, Littlestown, PA offers a wide variety of perks that make it a great place to live whether you are single or are raising a family. If you are interested in making Littlestown, PA your new home, please contact RE/MAX Quality Service Inc. and see how we can help get you into a Littlestown, PA home you will just love. 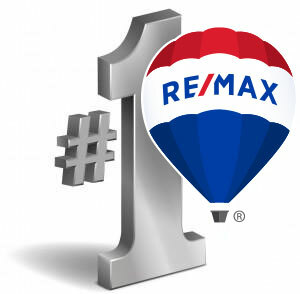 For more information or to schedule an appointment with one of our experienced and super friendly RE/MAX realtor specialists, please do not hesitate to pic up the phone and contact us today. Your dream house in Littlestown, PA is just waiting for you to move in.